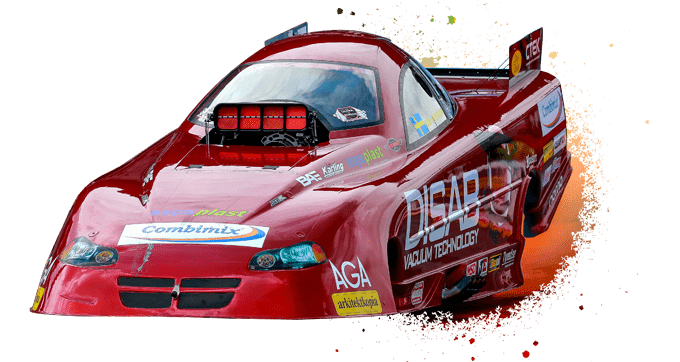 The Funny Cars are equipped with a one-piece, extremely lightweight carbon fibre body. The minimum weight is 1,000 kg. The methanol engines installed by the drivers reach 3800 hp, with times of 5.5 seconds and top speeds of over 410 km/h.